The first phase of the Tencent Cloud Computing Data Center in Chongqing is currently live and has the capacity to accommodate up to 100,000 servers, according to a report on state-approved local publication the Chongqing Evening News. 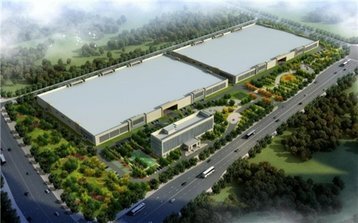 Located in Chongqing LiangJiang New Area ShuiTu High-tech Industrial Park, southwest China, the facility is in one of the most important data center and network centers in Southwest China. It is also the fourth largest data center built by Tencent after its facilities in Tianjin, Shanghai and the Shenzhen-Shantou Cooperation zone. Construction for a second phase is currently scheduled to begin by end of this year and will double computing capacity to 200,000 servers. When completed, the total investment is expected to be over 6 billion RMB (US$878M). For now, the first phase will see few employees within the facility itself. Instead, a monitoring system has been set up to transmit important operating parameters to a remote monitoring center. “Tencent is going to establish a world-class green data center campus with high-technology, intelligence, forming a service base for technological development and data storage,” said a manager in the report. Tencent will be launching a series of projects in the region Chongqing from this facility, including work to integrate Chongqing’s public service and projects to bolster the country’s “Internet Plus” initiative. The latter was designed to boost the Chinese economy by focusing on a knowledge-based economy revolving around services and technology.